Alpha Electric opened its doors in 1994 when Jimmie Stallones and Bo Parrish decided to start an electrical contracting firm. As longtime business colleagues in the electrical field, they understood the needs of their clientele. Quickly they began establishing relationships with Houston area hospitals, businesses, and residents. Alpha Electric Company currently operates in an 8000 square foot office with over 80 employees providing dedicated service as well as a 4000 square foot warehouse storing its on demand inventory. Alpha Electric has long standing relationships with most of the Houston area hospitals and maintains on site offices to oversee the various projects at these locations. 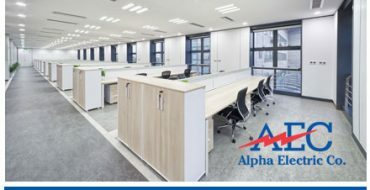 Alpha’s policy to furnish its customers with both high quality service and materials has created strong and lasting partnerships. Its leadership, consisting of project managers Jimmie Stallones, Bo Parrish, and Nathan Keel, each have at least 20 years of experience in the electrical industry. They have the knowledge, tools, and technology necessary to keep Alpha Electric’s bids accurate and can adjust any scope of work to fit any budget. Alpha Electric is affiliated with many organizations, including the National Electrical Contractors Association (NECA), the Greater Houston Partnership, and the Associated General Contractors of America. These affiliations afford Alpha Electric networking opportunities, as well as fine tuning its knowledge of the electrical contracting industry. 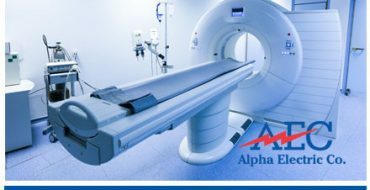 Alpha Electric has long standing relationships with many local hospitals, including The Methodist Hospital, MD Anderson, The Harris County Hospital System, and Houston Northwest Hospital. We assist in a variety of projects, from fire alarm systems to UPS computer backups, normal power, and emergency. Alpha Electric has the knowledge and experience to coordinate and execute projects around sensitive time and budget constraints. We can assist in preventative maintenance, as well as ensuring your institution is up to code. We have service trucks available 24 hours a day 7 days a week to repair any lighting problem or any power problem your store may have. We also assist in new builds and remodels to commercial spaces. 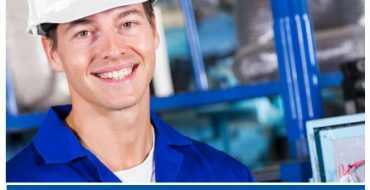 Alpha Electric understand the manufacture and production process and our electrical commercial services have the capabilities to offer the right commercial electrical services your manufacturing business my need. We have the experience in assisting many local manufacturing companies with their electrical needs. 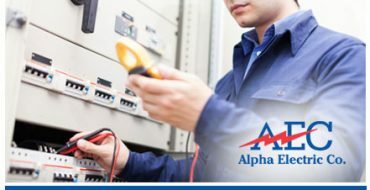 Understanding that reliability is important, Alpha Electric offers quality workmanship. We have technicians and project managers available 24 hours a day, 7 days a week, to take care of any electrical needs or emergencies you may have. 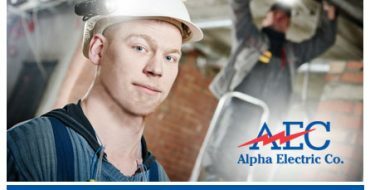 Alpha Electric is always on call our team of technicians, engineers and emergency services are ready to step in in case of any last minute repairs, disaster, install or perhaps taking over of an existing project that requires a completion deadline. Established in 1994, Alpha Electric has master electricians qualified to take on any project, and licensed technicians to complete the work. We have three Master Electricians available to bid projects, as well as a staff of project managers, each with over 20 years of experience in the electrical field. We are in compliance with current codes and training to maximize productivity, time and safety.